For many people, pets are just like a member of the family. That’s why Bethesda’s senior living retirement communities are pet-friendly, offering seniors the opportunity to keep their dog or cat with them when they move in. Many seniors need to consider their pets before they move. Bethesda Terrace resident LeRoy Russo said Bethesda’s pet-friendly attitude was a major factor when he chose his new home. He was simply unwilling to go anywhere that wouldn’t allow him to keep his beloved border collie, Sadie. When LeRoy found out he could keep his pet and enjoy the services and security Bethesda Terrace has to offer – as well as the 10 parklike acres on which it sits — he immediately knew it was the place for him. LeRoy added that he’s not the only person who enjoys Sadie’s company. He said other residents and visitors love to pet his dog when he takes her out for daily walks. He and Sadie are also fixtures in the lobby of their building where they enjoy visiting with people who come and go throughout the day. Bethesda residents are able to keep dogs and cats with them when they move to our pet-friendly communities, providing that the General Manager meets and deems the pet appropriate. Shirley Torno, a resident at Bethesda Terrace, lives with her rescue cat that she simply calls “Kitty.” She said she’s glad Bethesda’s pet policy allows her to give the animal a good home, because she and the black cat with patches of color on its chest are good for each other. 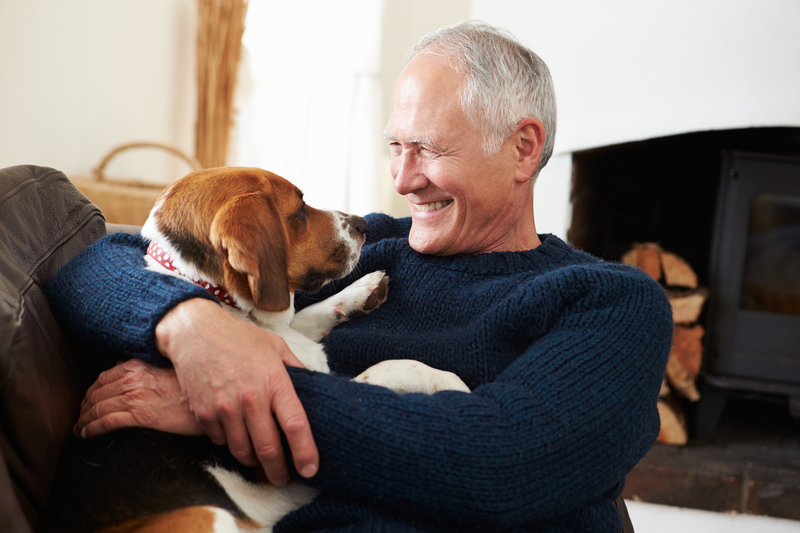 At Bethesda, we are proud to say our senior living retirement communities are pet friendly. Read more about Bethesda’s senior living retirement communities.